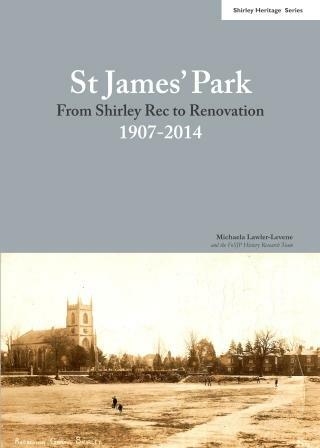 It was five years in the making, but was well worth the wait – the FoSJP History Team’s book “St.James’ Park – From Shirley Rec to Renovation, 1907‑2014” was published in February 2015. The book was launched on Sunday 22nd March 2015 at a special invitation afternoon tea event. A formal reception was held on Wednesday 1st April 2015 at Southampton Civic Centre to present copies of the book to the City of Southampton. 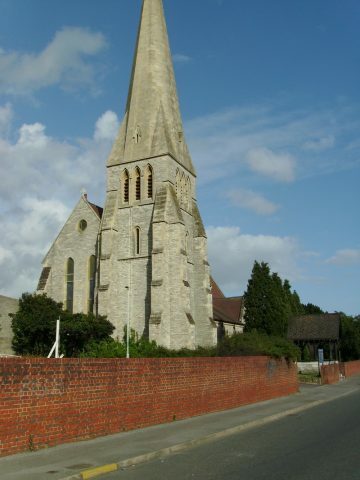 The book is available in local libraries, and can be purchased at £19.99 from Shirley Parish Office, 133 Church Street, Southampton; from the ParkLife Café in St.James’ Park; or from October Books in Portswood, Southampton. It can also be ordered from Waterstones at West Quay, Southampton, or purchased online at an RRP of £19.99 + p&p from Lulu Press. and to contribute towards community projects. 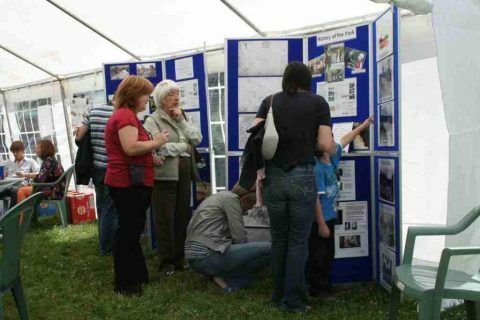 Following the success of the Park100 History stall, FoSJP wanted to include an Oral History project, which would involve recording local memories of interest to the Park. 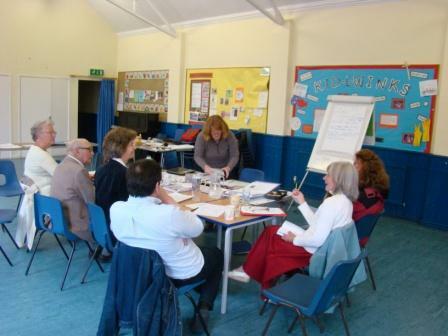 During Spring 2009, under Stage 1 of HLF funding, FoSJP volunteers were trained in Oral History Recording, with expert help from Padmina Broomfield of the Arts and Heritage Services (the former Oral History Unit). Training included what equipment to use, the techniques involved in recording, and how to organise and store information. 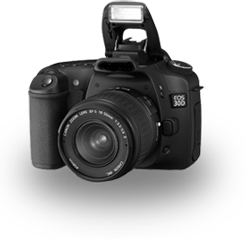 Following FoSJP’s success in gaining Stage 2 HLF funding in October 2009, the Oral History Project was given the green light to buy equipment and start recording memories. Some of this information will shared on the FoSJP website. Eventually, we’d like to deposit this archive with local library/archive services for future generations to listen to, view, and appreciate. Some of the material received will also be shared via other parts of the Shirley Heritage Project. Padmini Broomfield, now regional representative of the Oral History Society and formerly of the Southampton City Council Oral History Unit, gave a workshop to members of the Shirley Heritage Project on the transcription and archiving of oral history records, to help with the Oral History Project. This workshop was funded courtesy of the Heritage Lottery Fund. The FoSJP History Research Group hosted a special invitation‑only afternoon tea for Oral History Project interviewees in the ParkLife Community Room at St.James’ Park. 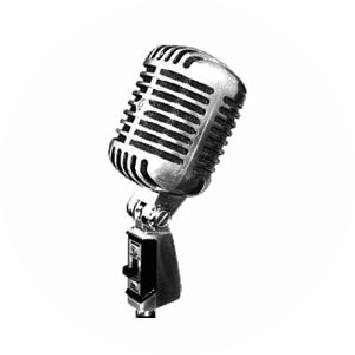 The FoSJP History Research Group‘s Oral History recordings are now registered with the British Library’sDirectory of UK Sound Collections, a collection of 3015 collections from 488 collection holders, containing 1.9 million items. and many other aspects of social history of the early 20th century. FoSJP’s Shirley Heritage Project is a member of the Oral History Society. As such, the project is following Oral History Society guidelines of professional practice and undertaking training in Oral History Recording and Archiving. 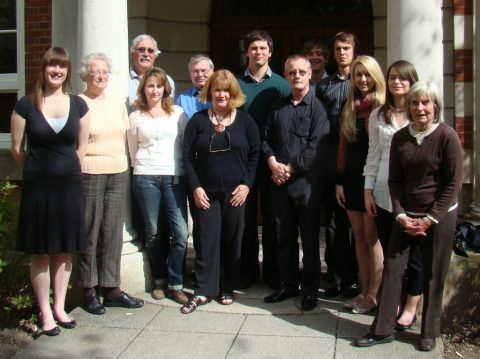 Our Oral History Project was featured in the Oral History Society’s national publication “Journal of the Oral History Society” in Autumn 2009 (vol.37 no.2 pp.17-18 under “Current British Work” – South East Region – Southampton). Our FoSJP history coordinator, Michaela Lawler‑Levene, was invited to present a paper at this prestigious conference. 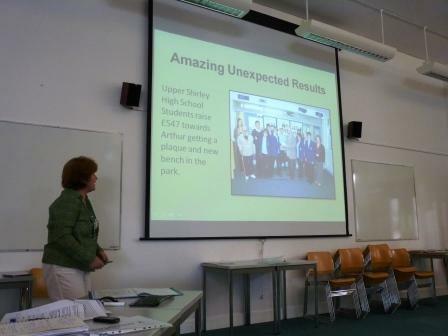 Michaela shared how older people’s memories and stories about St.James’ Park have been included in the art works in the Park through the Art for the Park inter‑generational project carried out jointly with the Media Workshop and students at Upper Shirley High School. Michaela also shared testimony from Bill Smith about playing in the Park during World War II, and how the Park’s World War II links are now depicted on the windows of the new café building. The history behind the Art in the Park project was the subject of the first presentation in our Autumn 2011 series of public history talks on Sunday 2nd October 2011. FoSJP asked the Media Workshop to help us by facilitating and running inter‑generational art‑based workshops, providing an opportunity to share research and oral histories of older people with younger generations, and resulting in a creative piece of historical interpretation artwork to be displayed in St.James’ Park. The artwork was to be sensitive both to its location in the Park, and to the Park being within the St.James’ Road Conservation Area. The design team for the Park suggested that this artwork be located on the wall of the new zipwire platform. In January 2011, the Media Workshop met with the FoSJP History Research Group to find out about the Park’s varied and rich history. Oral history interviewees have also been sharing memories of the Park from the 1920s, 1930s, and 1940s; at workshops with pupils from Upper Shirley High School, the children spoke to two of these interviewees and used the information that they learned to inspire some photographic artwork. The pupils and the artist came up with some wonderful ideas. To get the opinions of a wider group, Anna Vickers from the Media Workshop presented some examples of the artwork during the interval at the Public History Talk on Sunday 6th March 2011, which generated much interest. 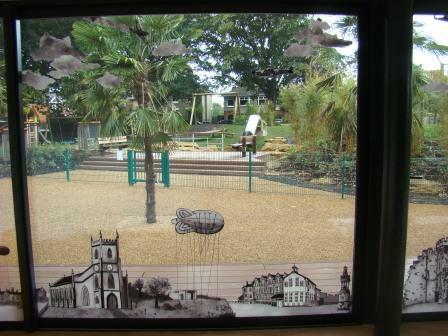 Anna also consulted Southampton City Council: because the Park is in a conservation area, she was advised that the designs should be subtle, rather than multi‑coloured. The accepted technique is water jet‑cut metal (3mm thick aluminium), powder coated in black. Initial ideas were gathered and the artist’s designs, which include some of the students working on this project, were approved by a group including representatives from FoSJP and our sponsors Southampton City Council and the Heritage Lottery Fund. The design show the links between the park building and its World War II origins as an Air Raid Precaution (ARP) building. During this period the RAF/WAAF also operated a barrage balloon in the park to deter enemy planes. The building subsequently became the changing room for football teams, public toilets, a park staff canteen, and more recently the FoSJP Kiosk (2006‑2010). 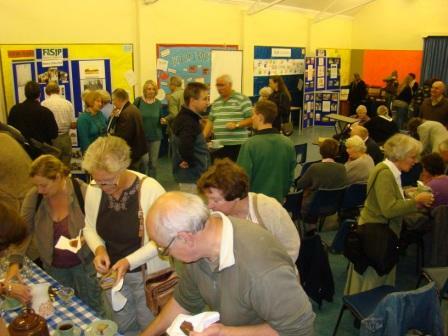 In 2010‑2011, thanks to a Parks for People award (from the Heritage Lottery Fund and Big Lottery Fund), the building was converted to a Café and Community Room. The design challenge for the building was “to deliver something of great value to the community yet retain the integrity of our heritage” (Design Engine Architects Ltd). FoSJP particularly wanted to give a young artist or illustrator the opportunity to work on a high profile piece of public art, and Sarah was chosen by her tutors as a student with talent, potential, and motivation. Sarah worked with FoSJP under the guidance of her supervisors, Peter Lloyd and Jonny Hannah. Limited edition prints of Sarah’s work are available by appointment; please contact Sarah via history@fosjp.org.uk. Click here for more information about Sarah. Click here for Peter’s comments on Sarah’s work. 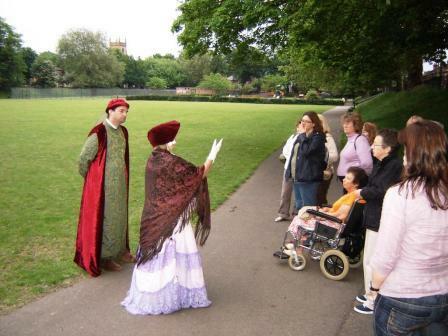 On Monday 4th May 2015 the Right Worshipful Mayor of Southampton, Councillor Sue Blatchford, unveiled the FoSJP History Research Group‘s Shirley Timeline at a special Timeline and Music event inSt.James’ Park. 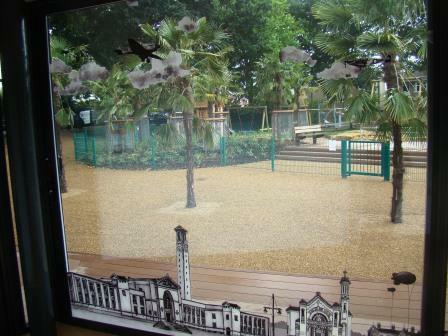 The Shirley Timeline is an interpretation panel displayed on the Park building. It depicts the history of the Park, both visually and in text, set against a backdrop of British and world history, and includes maps, photographs, old postcards, images of artefacts from museums, and photographs donated by members of the public. There are also silhouettes on the timeline cleverly revealing changes in fashion and children’s toys – some of these silhouettes are of real Shirley people dressed in period costume; others were created by artist Anna Vickers, who took the design concept and crafted it into this visual masterpiece. You can click on the image above to see a larger version (it might take some time to download) but there’s no substitute for visiting St.James’ Park to see the real thing! As one of the Shirley Heritage Project‘s inter-generational projects, FoSJP organised a year’s worth of craft and sewing classes, aimed at all abilities, with a modern twist on World War II’s “Make Do and Mend” approach to home crafts. Fees were £6 per session (£5 for concessions and FoSJP members), paid for in 6‑week blocks. 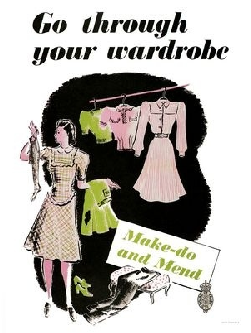 Two free places on each session were also made available to those with World War II “Make Do and Mend” experiences to share. All sessions were held on Mondays, 1.00pm – 3.00pm, in the ParkLife Community Room at St.James’ Park. For more information about this course, please contact course tutor Hilary Moore on 023 8070 4441 or via hilary@moore-inspiration.co.uk. This course was part‑funded by the Heritage Lottery Fund.